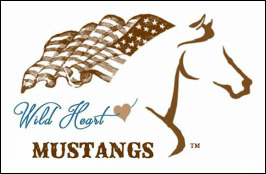 Founded by Lynn Huckaby and Vonnie Reinbold to honor the Veterans who have served for our country the Veterans and Mustangs (VAM) Program was born. The Veterans and Mustangs program brings together a Veteran and an untouched Mustang. Working with a wild Mustang is challenging and we want to connect a Veteran and a Mustang that are in need of helping each other. ​The Veteran has approximately 100 days to gentle and train what will become an adoptable equine companion. The Mustang is taken from “wild to mild” as the relationship grows between the Veteran and the Mustang. The Veteran will house the Mustang at their own place or a boarding facility, feed & water it, provide hoof and veterinary care, as may be needed, at their own cost. They must meet adoption requirements by the Bureau of Land Management. That information can be found on the BLM’s website. The Veterans and Mustangs committee follows up with each competitor making sure the Mustang is progressing and all is well, and if there are any questions or concerns that need to be addressed. The committee is readily available to any of our Veterans, at any time. ​No horse experience is necessary, although it can come in handy. We have mentors that are on standby for the Veteran that they can choose to use for help with learning how to train the Mustang. We have mentors lined up in different cities and states. If a Veteran is located where no mentor is established, we network to get a mentor found for the Veteran. If you are interested in becoming a mentor please contact VAM. 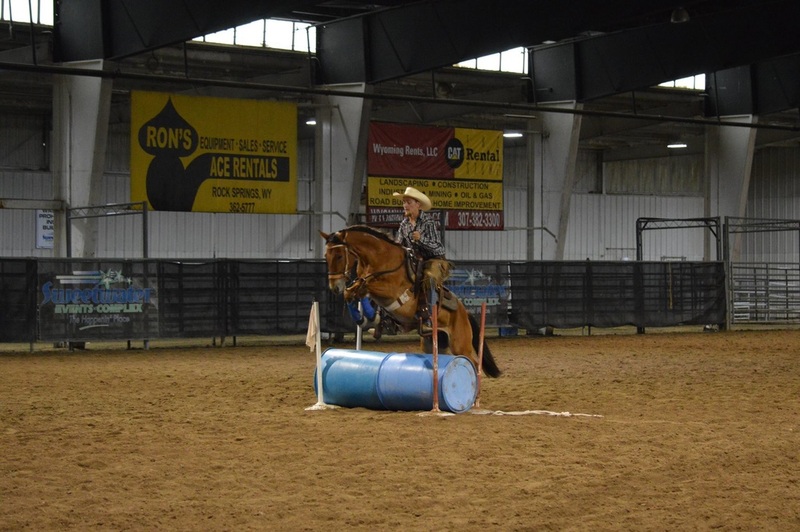 Once the training is complete, the Veteran and his/her Mustang come back to Rock Springs, WY to compete against one another in an obstacle course and a freestyle course. There is a set skill list that they must perform, such as side passing, lead changes, stopping, backing and loading and unloading from a trailer etc. Once the Veterans are accepted into the program they get a skill list so they know exactly what to work on for the competition. At the end of the competition the Veterans are awarded with a check and other prizes that have been donated by our sponsors. If you would like to become a sponsor please contact VAM. After the competition is completed all the Mustangs are put up for adoption by competitive bid. Anyone interested in adopting one of the Mustangs must fill our an adopter's application and become approved before acquiring a bidder number. Three Veterans applied to the program and were selected to participate in our first year. Unfortunately, two of the Veterans were unable to compete due to their Mustangs having injuries that were no fault of their own. They were offered the option to return their Mustang back to the holding facility to get a different one to train and compete with, but both declined. They wanted to keep the Mustangs they already had and those Mustangs would stay in their family to be properly cared for and eventually finish the training once they were healthy. The third Veteran, Shea Wallin of Denver, Colorado, competed in an obstacle course and freestyle course. 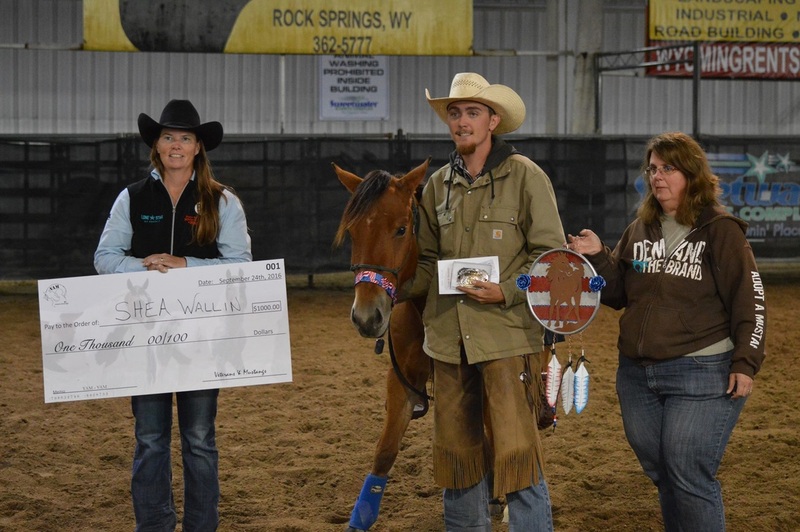 Although he was our only Veteran, we would like to congratulate Shea and his Mustang, Clementine, on becoming our 2016 Champions from Rock Springs, WY. Clementine was won by competitive bid by Shea and was adopted into Shea’s family. Shea did an awesome job training Clementine and was an absolute joy to watch the two of them work together as one. Any Veteran, regardless of horse experience is welcome to join our program, and can be from any state. We are currently accepting applications for our next VAM program of 2017. You can find the application on our Facebook page VAM (Veterans and Mustangs). Lynn Huckaby and I would love to see this program explode, and have many more states involved as it grows each year. ​There are more than 44,000 Mustangs in holding facilities across the United States. We love the idea of helping more people become aware of these beautiful talented Mustangs and adopting them either at one of our competitions or out of the holding facilities. Lynn and I would like to thank the BLM Wild Horse and Burro Program along with the Mustang Heritage Foundation in supporting our endeavors with the Veterans and the Mustangs, and all our donators and sponsors for 2016 and look forward to VAM 2017. 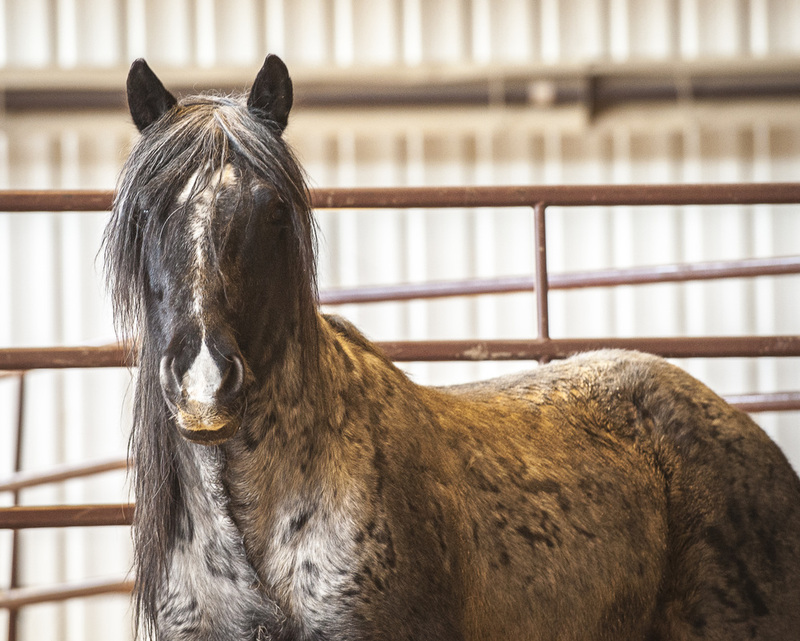 Maybe it is his gorgeous silver mane that frames his stunning blue roan shoulder or his thick, endless forelock that masks his dark eyes that draws in veterans from the moment they see him. Or perhaps it’s the way his blue roan coat tells the story of every battle wound he wears from being a stallion in the wild. This is all easily welcomed to a veteran who also holds scars. Or just maybe it’s the way the blue gelding intensely holds you in the moment mindful that when you work with him – he’s carefully holding both hope and hesitation in his feet. Its his knack for survival, his will to defend, his keen sense of reading intention. 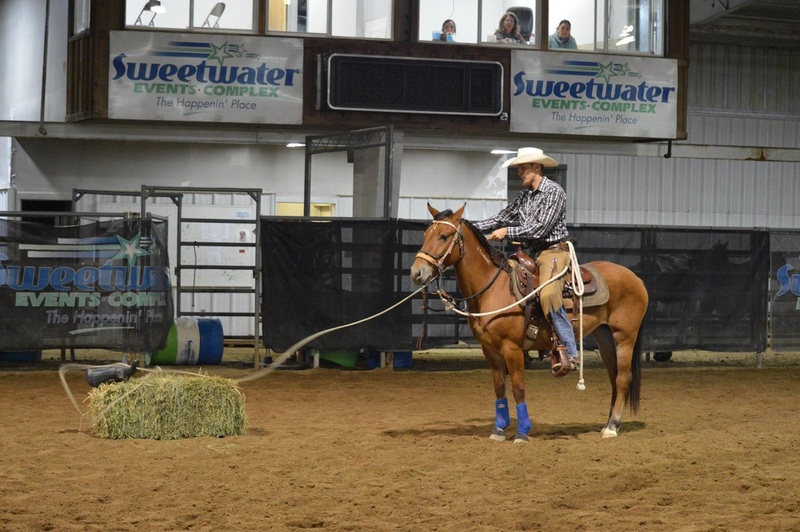 These were all traits that attracted us to him when we first laid eyes on this gelding in Wyoming and the very thing that veterans seem mesmerized when they stand before him. Sturdy and stout at 14 hands, he wears a white strip between his eyes that carefully trickles down his nose. Due to his age, he is the underdog of underdogs and so easily won our hearts the very moment he stole our breath with his presence. Everyone told us. Friends and family warned us. We heard it over and over. How could we be so careless and crazy for adopting a 20 year old mustang to bring home to a nonprofit and start him around 10 veterans coming in from across the country who we had never met? But it was designed from above and clearly all would unfold as the perfect plan. Now, after a year and a half at BraveHearts, Boo-Yah-- named by a generous donor who supports him—is an all American all super star therapy horse. He has been used in the round pen with nearly 80 veterans and individuals working to continue gentling him. His reputation and his legendary rank make hundreds of veterans flock to even catch a glimpse. Some veterans came to eat breakfast outside his stall, read a newspaper with him in the round pen or lunch together while he was turned out. Boo-Yah has been haltered, lead and trailered and has allowed many veterans to touch his mane, forelock, face, body and even softly pick up all his feet. This mustang has a story of adversity, strength and perseverance all bringing veterans to BraveHearts to be with him as together both learn their new purpose, existing peacefully.